Queensland mining sites will be the first in the country to trial new fast-tracked adult apprenticeships and a new visa to bring in more temporary migrants. Mining companies will also be able to apply for money from a $200 million government fund to pay for training. The moves are part of a government response to official warnings that Australia’s mines will have a shortfall of 36,000 tradespeople by 2015. The new apprenticeships will recognise prior learning and allow four-year training to be slashed to 18 months for 1000 workers. The scheme, which was designed by Queensland-based East Coast Apprenticeships, will see 40 groups of 25 apprenticeships fast-tracked into jobs. Queensland sites operated by Thiess and Anglo American Coal will be the first to use the new scheme, East Coast Apprenticeships chief executive Alan Sparks said. The Government’s plan for getting more workers into the booming resources sector includes a controversial new visa that would allow companies to get quicker access to foreign tradespeople for “mega” projects. Employers will also benefit from five-day deadlines for the Immigration Department to process temporary work visas. Skills and Jobs Minister Chris Evans said he was focused on training more Australians to work in mines and related construction projects. But Senator Evans said Australia would need increased numbers of foreign workers to meet the demand of the booming resources sector. “You’d expect in the period of growth to see more 457 (temporary visa) workers coming in,” he said. Senator Evans said training standards would not be cut with the new apprenticeships because they would carefully assess adults’ prior experience. He suggested this could be a model for competency-based apprenticeships in other trades. Businesses welcomed the announcement, saying it would help them meet skills shortages. But unions called for apprenticeship targets to reduce the use of temporary migrant workers. “Any plan to ease labour shortages must be matched by investment in skills training by employers,” ACTU President Ged Kearney said. i was watching a documentary about the mines in western australian and i would very much like to get into it. either working or learning but i would like to know do you “cater” for foreigner. i have a south african and italian passoport my brother and my aunt live in australian and i would very much like some more information about the jobs etc they there are available. i am however 30 years of age would this make a different if i was interested. how do i go about getting information . any information you could assist me with i would greatly appreciate it. Thanks for your comment and questions. We get a lot of people who live overseas and want a job in the mines in Australia. We have some good information on our website about mining jobs for overseas workers…and have a read of this news item too on mining construction jobs forecast, it’ll give you some ideas on how to go about finding these jobs. Visit the Australian government website to find out more information about the temporary skilled working 457 visa, this will help you a lot. There is also a government mining jobs board that has a lot of mining jobs listed. You can also subscribe to the iMINCO mining project news, which is always packed with the latest mining information and jobs updates. 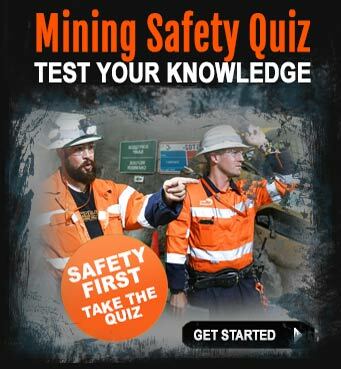 It’s free and you’ll find it really helpful in your search for a mining job in Australia. There is also a National Apprenticeships Scheme for older people (not that 30 is old – 25% of the Queensland mining industry workforce is over 50 and the average age is 40 years old) looking to enter the mining industry in Australia as a mature aged apprentice. There are plenty of opportunities for this too. r.e. mining jobs for overseas workers. Im 27 yo and have spent the last 5 years in the Australian Defense Force as a rifleman. Im looking into doing the induction training and cat 773 training to help me get started driving in the mines, but ultimately want to get a trade, prefferably as an electrician. Would i be better off going straight for the mature age apprenticeship or is first ‘getting my foot in the door’ with the dump truck driving a better way to go about it??? Hi Luke, thanks for your question, we appreciate you taking the time to do so. Having been in the defense force, you’ll have a lot of discipline and also a lot of experience dealing with situations that are out of the ordinary. Working on a mine site is also out of the ordinary, so your background will be an advantage – that’s for sure. There are lots of jobs for people who have a willingness to work and commit to the realities of working in the mines. Like most jobs out there, you have to have a good mix of skills and abilities, as well as experience operating machinery and the dump truck course will certainly give you that. These courses really put you through your paces. You’ll be driving the big CAT haul trucks in a real mine site environment, so you’ll be taught precisely how to drive safely (a huge requirement) as well as loading and hauling operations, driving in hazardous conditions and the all important night time driving experience. The adult apprenticeship scheme is also good, and there are plenty of opportunities to get into a well paid mining career as a trades person, especially in the electrical side of things. Underground mining jobs for electricians are always posted on the mining job websites. I suppose you have to consider your circumstances too Luke. Invest in your career as a dump truck driver and create the opportunity to earn a good income in the short term, or start off as an apprentice and work your way up. You’re still young enough to do carve out a good mining career that’s for sure. 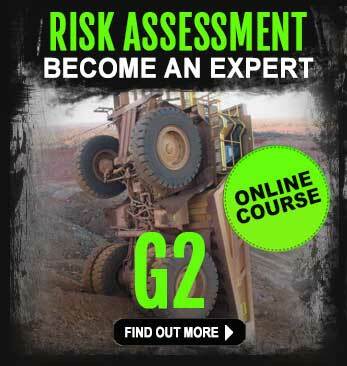 Talk to the haul truck school on (07) 5520 2522 for more info on the courses and some of the options available to you. I know that everyone who completes any sort of mine-ready training course with Industry Pathways, gets instant access to the Student Service website which is packed with helpful mining information, has new job postings daily and tips on where and how to apply for mining jobs. r.e. I’m looking to do CAT 773 dump truck training to get a job in the mines. It’s good to see you are thinking about improving your career prospects to further your career – especially moving into the mining and resources sector. There are a a lot of jobs out there for welders and fabricators in the mines, as well as dozens of mining jobs for boilermakers. Have you been checking the mining jobs boards? I just did a quick search for you and here are some mining job websites you can go to. You’ll find a lot of mining jobs that are suited to your skills. There are 102 mining jobs for boilermakers here, dozens more FIFO mining jobs for boilermakers and fabricators here…just keep searching online for jobs that match your skills, you’ll probably find a dream mining job with your current experience and qualifications. There’s a lot of talk about mining jobs and how they are hard to get, sure, there is some truth in that, although, any job you apply for in any industry is equally as challenging. You have to know your stuff, research the employer (mining company or mining contractor), find out what projects they have on the boil, make phone calls and talk to the recruitment people, introduce yourself. Sign up for Mining Project News, this weekly newsletter is always packed full of helpful information. Again, get a good mining focused resume written because this will set you apart from the rest of the applicants who are going for the same job. A good cover letter is also very important as this is the first thing the mining and recruitment companies see. If your resume is sub-standard, then it diminishes your chances of getting the interview. Call the office of Industry Pathways on (07) 5520 2522 for more information on what you’ll need to increase your chances of getting a job in the mines. If you’re still focused on an adult mining apprenticeship program, you can read more about it on the National Apprenticeship’s website. Good luck with your mining career Wayne. r.e. How do I get an adult boilermaking apprenticeship in the mining industry? I am an experienced truck driver who has lived in Australia for 2 years on working holiday visas and loved it. I am currently outside Australia and I would like to get back over there. I heard that they were offering 457 visas to overseas workers to come to the mines and I am very keen to find out more. Like I said I am an experienced truck driver with British HT licenses, I also have vast experience with machinery having worked for the last two years for a civil engineering firm in NZ. I would be very keen to take part in an apprenticeship program and gain some qualifications as well. I know my skills will transfer well into the mining industry and I know I can hack the work schedule and fifo aspect of the job having served in the military and been away from home continuously for the last 5 years. Any help you could give me finding out more about these visas, especially about how to start the application process would be a great help. I have tried the immi website but frankly it is of very little help. That’s a good question you’ve asked us and I’m sure there are a lot of other people who would like to know the answer to this. There are a lot of mining jobs advertised at the moment for haul truck drivers. Mining Crew have dump truck jobs on their website. Here at iMINCO, we keep an eye out for mining job opportunities for the 1000s of people who subscribe to our mining Project News too, it’s a weekly newsletter with loads of mining information and links to mining jobs in Australia. Have you read our article on “ADULT MINING APPRENTICESHIPS AND 457 VISAS?“, this will help you in your search – it’s packed full of good information about adult apprenticeship schemes as well as additional information on applying for a 457 visa. When you return to Australia Dave, you’ll have to get the right accreditation to drive a haul truck (despite your years of experience), it’s a requirement to have this accreditation owing to the stringent safety requirements when working on mine sites in Australia. Have a look through our dump truck training course schedule and S11 mining induction training course, this will give you the essentials and give you a head start in the mining job application process. You can also call the Industry Pathways training centre on 61 7 5520 2522 the Gold Coast for more information…it’s a long distance phone call if you are in the UK, however, it could be the best phone call you ever made! Good luck with it Dave, let us know how you get on. r.e. Mining jobs in Australia and 457 visas. Hello Pete, I have been working for almost 30 years now with NSW rail (mostly rostering / scheduling crews) and I am looking to do something different. I have a rail safety card and WHS white card, I also have an HR License. I would like to work in the mining industry in any capacity. I am 49 y.o and willing to undertake any training necessary to change my working life. what is the best avenue to take before I start to fill in any application forms? First of all, don’t let your age be a negative to stop you applying for mining jobs. Did you know that over 33 percent of new mining recruits are over 50 years of age? – plus 20% of the existing workforce in the mining industry are over 50 years of age, so there’s a lot of opportunities to get into mining in your age bracket. You experience with rostering and scheduling will stand you in good stead when applying for a mining job. Working for mining companies is just the same as any other business, it’s all about organisation, teamwork and safety too. Another consideration Mehmet is, what do you want to do in the mines? Be specific and think about the skills you have and how you see yourself in a mining job. Do you want to go into management or simply start off with an entry level position or perhaps given your experience with NSW rail, start to look for rail and transport jobs first. There are certain training courses you must do before starting work on a mine site in Queensland for instance, you need to have a valid coal passport to show mining companies you have an undertaken mining induction and safety training. The S11 mining induction course (sometimes referred to as the GIQ mining induction) gives you the right accreditation you need. Start looking for train driving jobs – Rio Tinto jobs on the mining jobs boards like SEEK.com.au. There’s also a lot of opportunity to get into mining as a mine site Superintendent as your experience with managing people on busy rosters would be advantageous. Of course these types of roles require someone with experience to fill the job, but don’t let that put you off. Did you know there are critical job shortages of mining supervisors in the industry? This is a great opportunity for you to get into mining as a supervisor too. 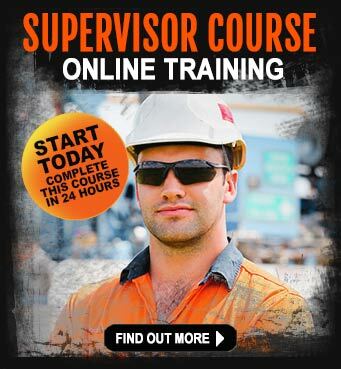 Take a look at the Mining Supervisor Course, it’ll give you some good information on what you need to do in order to gain this qualification. Call Industry Pathways on (07) 5520 2522 for more information, they’re always happy to give you some solid advice and answer your questions about which courses will give you the best leverage when looking to get into mining. r.e. I would like to work in the mining industry – how do I get a start? r.e. Do I need qualifications to get a dump truck drivers job in the mines? Hi there, I am an HR driver and I am having difficulty finding which way in terms of qualifications I need to do to gain a job in the mining industry. Something like a Dump truck. Driver and or anything. Where would be the best place to find out that information? Thanks for taking the time out to leave your comments. You’ve got loads of experience as an HR driver, that’s good, so you know how to operate heavy vehicles. Driving on a mine site can be just as busy as a regular roadway. There’s a lot of activity on a mine site, so safety is ultra-important. The first thing I’d recommend is to do a haul truck training course as this will give you the right paperwork to present to mining companies when you apply for a mining job driving a dump truck. The RIIMPO311A Conduct Haul Truck Operations course is what you need, plus if you want to work on a mine site in Queensland, you need to have a valid coal passport to show the mining employers you have completed the correct mining induction and safety training. 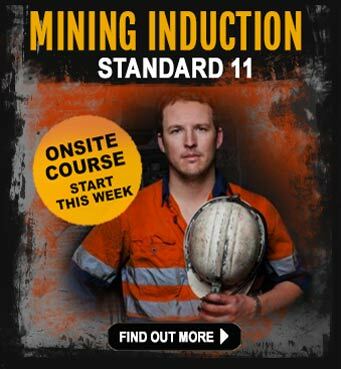 The S11 mining induction course (sometimes referred to as the GIQ mining induction) gives you the right accreditation you need. Start looking for dump truck mining jobs on the mining jobs boards like SEEK.com.au, there are always plenty of jobs. Some of them ask for experienced drivers, but don’t let this put you off. Be persistent and show them employers that you have the right mix of skills and attitude to do the job. You would also have to consider if you are prepared to FIFO into the mine site and work long rosters, which is more often than not a big consideration for people looking to get into mining. I’m a 29 yr old bricklayer by trade with a basic mechanical background. I have Tyer fitting , radiator fitting experience with cert 3 qualifications But have not done these for more then ten yrs. I’m very interested in applying for a diesel fitter and or anything along heavy machines and equipement matainance. If you could let me know how I could get started it would mean the world to me and my fiancé as I need a job ASAP. QLD expects to need 30,000 workers for the mining industry within the next 5 years, so there are plenty of opportunities to gain employment. You have a good set of skills there, and the forecast for the mining industry is there is expected to be a demand for mechanics and people with mechanical repair backgrounds. You’ll need the right mine ready certification of course, like the generic coal induction and it’s always good to refresh your knowledge of first aid too. Go to the mining job board websites and do a search for the types of jobs you’re looking for, then get a good mining focused resume that highlights your experience and target it towards the mining companies. R.E. Getting a job in the mines when I have an existing trade qualification.